Proocam Pro-J065 Short Motorbike Roll Bar Mount can attach the, roll bar to gopro camera, this, more compatible to 1.4 "to 2.5" (to 3.5cm · ndash; 6.35cm).. 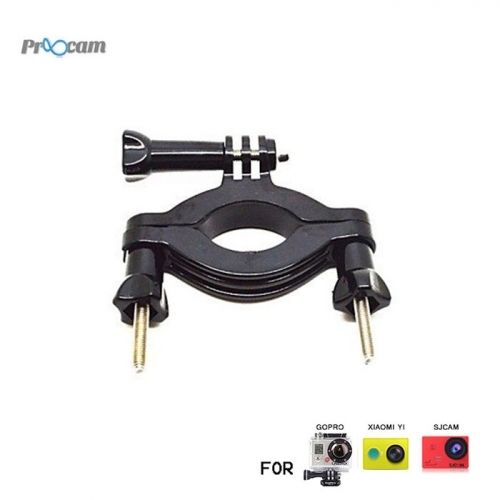 Diameter tube perfect clamp radiator for your camera The go-kart on the cap (cap of both metal and plastic). You also, clamp bike frames, bumper bars, ski / surfboard rack or to allow the above-mentioned range. Orientation arm three-way adjustment function that comes in the pivot in the other size, which is something, to ensure you, angle desired can be obtained. Attach your GoPro camera to roll bars, tubes and more. Perfect for clamping your camera to the radiator cap (bothmetal and plastic caps) on karts. Comeswith pivoting orientation arms allowing for 3-way adjustability, ensuring you can get the angle you want.